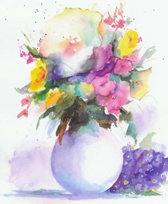 As a branch of still life art, florals celebrate the endless complexity and compositional perfection of flowers in all their varieties. 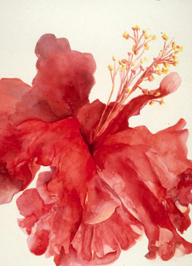 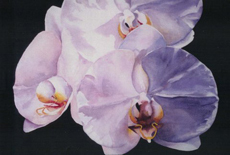 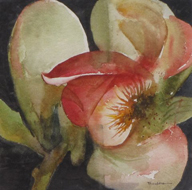 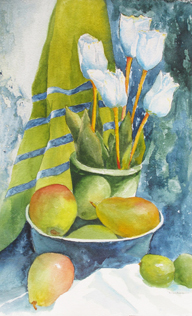 From the Dutch and Flemish artists to Georgia O'Keefe, artists have found fascination in the elaborate detail, the allusions to the feminine and the masculine, that flowers present to those that study them. 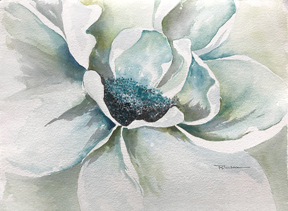 Art, as a visual form of study, allows those who practice art, to explore, to compose, to arrange, to revel in the mathematical perfection and yet abandoned randomness that are the soul of the floral world. 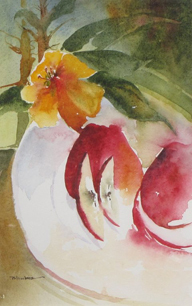 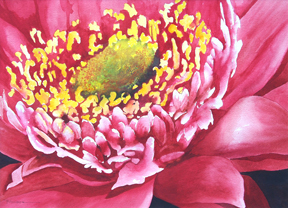 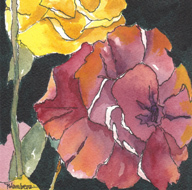 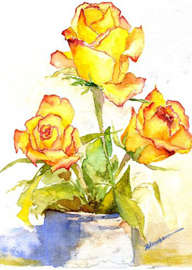 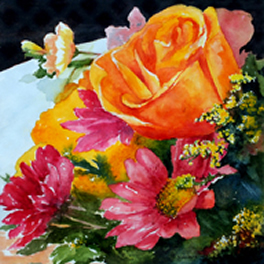 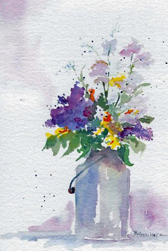 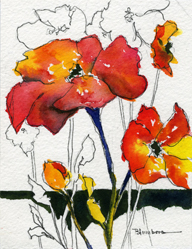 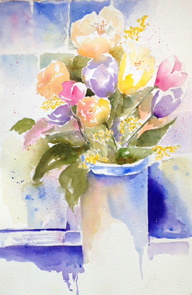 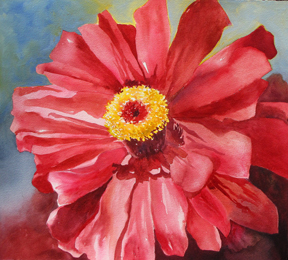 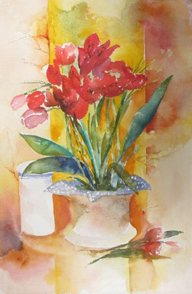 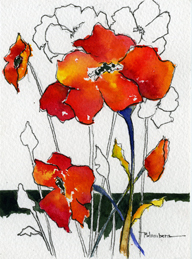 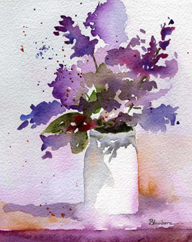 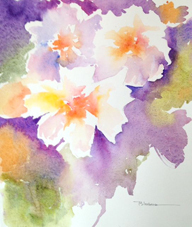 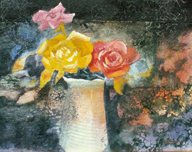 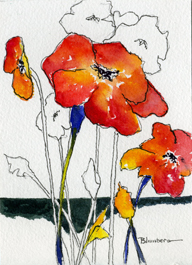 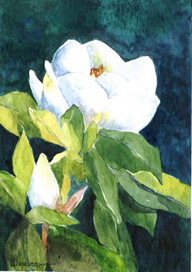 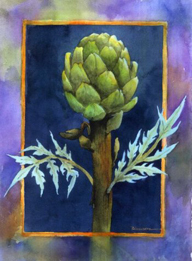 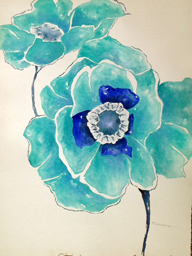 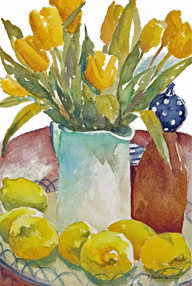 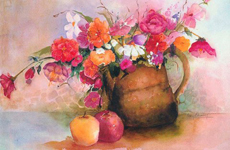 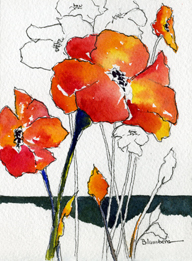 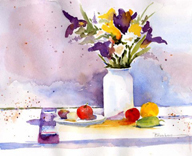 The colors of flowers have also challenged the painter for years, these colors have inspired new pigments, and the attempts to translate what is seen in nature to paper or canvas continues to challenge artists. 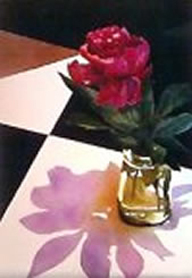 Mary Blumberg's work shows an exquisite understanding and ability to translate reality into art.